Trump Replaced Sessions; What Does That Mean for Mueller's Russia Probe? With Jeff Sessions now out as attorney general, President Donald Trump's choice to fill his shoes, at least temporarily, is in the position to have a significant impact on the scope of special counsel Robert Mueller's investigation into Russia's interference in the 2016 election, NBC News reported. Matthew Whitaker, who has served as Sessions' chief of staff since late 2017, has been tapped to become acting attorney general and will therefore take over the role of overseeing Mueller's probe from Deputy Attorney General Rod Rosenstein. 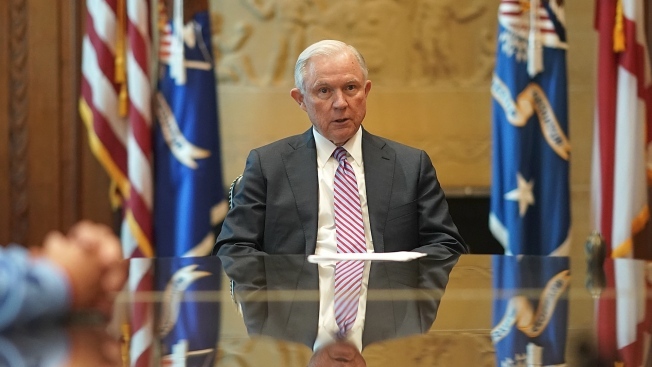 Sessions had recused himself from overseeing the probe because of his involvement with the campaign, but Justice Department spokeswoman Sarah Flores said on Wednesday, "The acting attorney general is in charge of all matters under the purview of the Department of Justice." For months, Trump publicly attacked Sessions for recusing himself from overseeing the probe, and blamed his decision for allowing Rosenstein to appoint a special counsel. Now, with Whitaker at the helm, Trump has someone leading the Justice Department who has already suggested that Mueller's probe should be reined in. "If he was selected because he doesn't think it's an appropriate investigation, then I'm deeply concerned," said Chuck Rosenberg, a former U.S. attorney and general counsel at the FBI.